Red kitchen counter stools bring a kitchen to life. 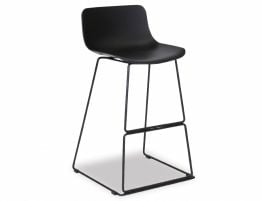 Willow stools are the perfect way to make your room pop. Try matching them with a red splash back to create a dramatic bold statement, great way to bring an old kitchen to life. Willow stool in red will compliment the classic black and white or add some contemporary fun to a more subdued palette. 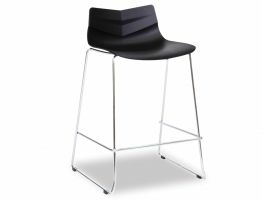 Presenting a mid height back rest the Willow stool will slide under your bench allowing the layered design to show through. 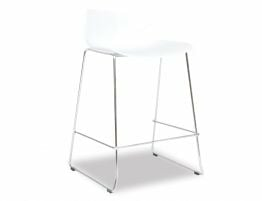 Contoured seating provides added comfort resting on a steel frame for strength and durability. Ease of maintenance adds to the features that is Willow. 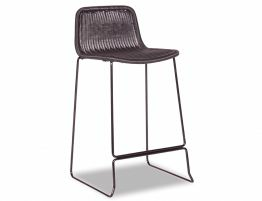 Bring your favorite gathering place to life with Willow Kitchen Stool in red.